US VP Mike Pence boldly hopes to put “American boots on the face of Mars” – but it's unlikely the troops will be staying there long, if a new study on the Red Planet is accurate. Researchers at the University of Edinburgh found Mars is less habitable than previously thought, in a study published in Scientific Reports. 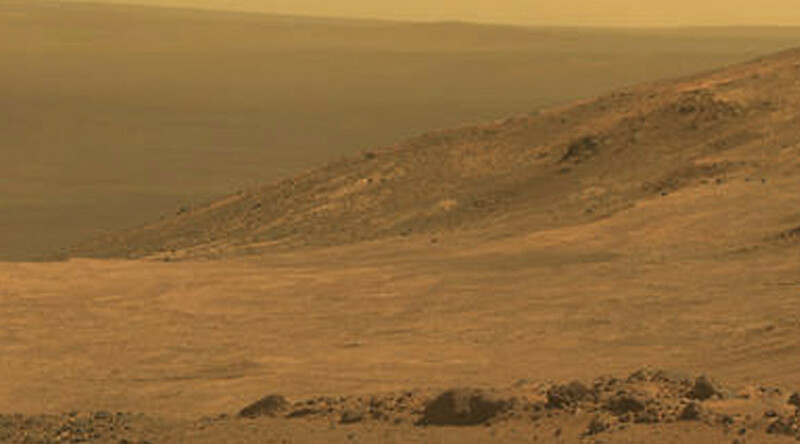 That makes the dream of realizing Matt Damon’s Martian potato farm (or any vegetable for that matter) even less unlikely. The study found perchlorates in Mars’ soil turned toxic when exposed to the harsh UV light radiation found on the Red Planet. That destroys any bacteria, making it extremely difficult for any living thing to survival. "You need to flush out the perchlorates and then you can grow vegetables," said David Wilson, from NASA’s Planetary Science and Astrobiology division. "But you would have to add nutrients into the soil as well. So you'd have to do more than just pick up the soil, you'd have to work the soil," he added. The presence of toxic compounds in Martian soil, called perchlorates, is nothing new to scientists. However, this study found other Mars-based compounds such as iron oxides and hydrogen peroxide, merely exacerbated the perchlorates’ toxicity. "There's no ozone layer [on Mars] so UV rays penetrate down to the surface," said professor of organic geochemistry at Macquarie University, Simon George. “And they're very toxic, they give you a really bad sunburn if you're on the surface. "But what happens is this UV radiation interacts with perchlorates and produces side products, probably chlorite and others, which are the things that are really toxic to life," he added. Scientists will have to dig a lot deeper to find life beneath the Red Planet’s penetrative UV raze, say experts. On the other hand astronauts can forget about contaminating the planet as bacteria naturally carried from Earth will be destroyed by Mars’ toxicity.